With the Olympics over and the NHL season entering the final stretch, the Pittsburgh Penguins are getting ready to wrap up a successful regular season and start the their run for another Stanley Cup. The 2009-2010 season has had its ups and downs, highs and lows, amazing wins and devastating losses. The team here at Pens Universe has analyzed the season to date and proudly presents the State of the Penguins. It would be ridiculous to say that everything is ok from the Penguins offensive point of view. I have watched all but two of the games this season and find myself both, unsettled and proud at the same time. To begin with, the Penguins have the most solid depth at center that I have seen on any NHL roster in my 30 years of being a hockey fan. On any given night, you will find any one of them on the scoresheet. For a brief moment, it even looked like the power play was going to come around. The blueline , at least on paper , has some very capable puck moving defensemen. Oh, and that 3rd line, I am sorry but there is no harder working group of guys in the league right now, between physical play and the ability to create chances from each other is nothing short of spectacular. The sad fact remains that the Pens do not have a finisher on the wings. Guerin’s shot is nice, but he is easily taken out of plays due to his speed. Fedotenko is on the roster, but not on the scoresheets. In general, the Pens patrolling the left and right sides of the ice, do not instill fear in anyone. The boys on the blueline seem to struggle when it comes to trying to hold the zone, in particular on the powerplay. I am sure King Shero is equally aware of this and will make adjustments before March 3rd. While the offensive powers of the Penguins are well known, their defensive capabilities are not, and probably surprise many of their opponents. The Pens are currently 22nd in the NHL is goals against, and yet they are still one of the best teams in the league. How can that be? Well, there is more to winning games then just preventing goals. The New Jersey Devils have given up 37 fewer goals then the Pens and have only one more point in the standings. The two most important aspects of the Penguins defensive game that has lead to their success have been shot blocking and hitting. The Pens are currently 5th in the league and blocking shots led by Jay Mckee, with 127, and Mark Eaton, with 113. The Pens are 4th in the NHL in hits led by the expected suspects, Brooks Orpik and Mike Rupp. Surprisingly, though, Ruslan Fedotenko and Jordan Staal are 5th and 6th respectively. Although not always on the top of stat sheets, these two stats allow the Pens to run their run and gun style knowing that they can successfully get back on defense. It is a nerve racking style that is very frustrating to watch sometimes, but it has worked well so far. With the excitement from the Stanley Cup win carrying over into the new season, expectations flew through the roof. When watching Marc Andre Fleury play on opening night after an awesome banner ceremony, he seemed as if he hadn’t lost a beat since “The Save” with 6.5 seconds left in Game 7. A 3-2 game winning performance with a glove save on Vinny Prospal that brought back the memory of that same glove stealing the show on Ovechkin in another Game 7, allowed the Pens to start on the right foot. In the month of October, Fleury played 11 games going 9-2, which would be his best monthly record of the following months. In November and December, Flower played a combined 23 games going 13-9-1. With a tough schedule, injuries ripping through the team and, at times, a lacking defense; we all witnessed a struggling Marc Andre Fleury. Even though Flower has taken his fair share of shaky performances, there were others that were just stellar. At times he makes saves that he has no business making, leaving us completely speechless. At the age of 25 and with the experience of 2 Stanley Cup runs under his belt, Marc Andre is only going to get better. He knows what’s it like to put this team on his back and we’ve seen it done before, so look for Flower to get into playoff mode in the upcoming final stretch of the season. One of the several off season acquisitions was goaltender Brent Johnson, a net mind from the Washington Capitals that we haven’t heard much about. His Penguin debut was against the Phoenix Coyotes at the Mellon Arena, a game that didn’t go in our favor. BeeJ didn’t dwell on that 3-0 loss, because he next in net performance was a strong 3-2 win over the Florida Panthers, saving 27 of 29 shots that night. Ray Shero picked up Johnson to back up Fleury and he has done just that. He’s as solid as a 32 year old from Farmington Michigan goaltender can be, putting in his best performance against a very good New Jersey Devils team on December 30th. Brent only gave up 1 goal in a 2-0 loss that could have easily been a 5-0 loss. The only thing that has dimmed the light of BeeJ has been a nagging groin injury which has him on the shelf right now. But as soon as he overcomes injury Johnny will, again, take his place in the runway dancing to Led Zeppelin and backing Fleur. At one point in the season the Pens called upon John Curry and Alexander Pechurskiy. Though I’m sure John Curry would love to forget that call up game against the Vancouver Canucks, Pechurskiy took the opportunity to shine. Only 4 minutes into the second period Dan Bylsma made the decision to pull Curry and give Alex the pat on the shoulder. We were able to witness the Pens first Russian goaltender show what he can do, a solid performance that in return awarded him the 3rd star in his first NHL game. One goaltender we have not seen this season is Brad Thiessen. Thiess has been ripping it up down in Wilkes Barre, posting a 5-0 shut out against the league leading Hershey Bears and another against the Lowell Devils. Brad leads the WB Pens goaltender squad in save percentage with .901 and a GAA of 2.89. Hopefully we won’t be seeing either John Curry or Brad Thiessen any time soon. With 20 or so games left in the season and the playoff just around the corner, Marc Andre Fleury and Brent Johnson have to put their best performances forward and I believe they are both fully aware of that. Want to start an argument in the city of Pittsburgh? Mention the Pens power play and just see what happens. After “Let’s Go Pens” SHOOT!!!! Is the second loudest chant in Mellon Arena history. The truth Pens fans is the Penguins power play isn’t that far off from becoming the elite power play we all expect. Currently the Penguins are 26th in the NHL on the power play converting at a 16.5 percent. Since head coach Dan Bylsma instituted new instructions the power play has begun to climb up those rankings. There are two keys for success on the power play. 1.) Gain the blue line – to often the pens waste most of the power play getting into the offensive zone. To fix this, I suggest better plays through the neutral zone, yes Sergei Gonchar is the quarterback for the PP, but he doesn’t always have to be the one carrying the puck up the ice. 2.) Move – though I was going to say shoot didn’t you…its not all about shooting, if its blocked it might end up in a short handed chance the other way. The Penguins must create mismatches or better yet two on ones down low. If the defense always knows exactly where Sid and Geno are, it is easier to defend them. When we’re speaking about special teams, the Penguins strongest aspect has clearly been their penalty kill. Though that statement is a little skewed since they’re currently 26th in the league on powerplay at 16.5%, an abysmal statistic. Currently the Penguins are sitting at 10th in the league with an 83.3% penalty kill. Having a strong PK has actually been on the Penguins resume for the past two years. Last year they finished 8th overall last year at 82.7%, though the year before they finished at 81%, good for 23rd overall. This increase in percentage and can be attributed in large part by one individual, Jordan Staal. Staal has been simply magnificent in his ability to play the puck when down a man. In 2006-07 he set and NHL record by scoring the most short-handed goals by a rookie in (7 shorthanded goals). The same year he set another NHL record, youngest player to score two shorthanded goals in one game - October 21, 2006 against the Columbus Blue Jackets. As of late he has been consider one of the best two-way players in the game. Look for him to be a nominee for the Selke Award this year. Other notable players have emerged and really stepped up their PK, that being Craig Adams and Sidney Crosby. Adams knows his skill is limited and will do anything he can to help the team. He has two Cups under his belt so it will be interesting to see if Shero keeps him for the playoff run. Crosby on the other hand helps immensely on the PK due to his winning percentage in the face off circle, his hockey IQ in general, and his ability to take care of the puck. I think it’s safe to say that heading into the end of the season and toward the playoffs there’s definitely room for improvement. It’s real important to have a strong short-handed group to bail you out when you’re down a man. But more importantly the Pens have to play smarter hockey in general and take less (lazy) penalties. The Penguins have the 8th most penalty minutes in the league, but 6th in minor penalty. For a team as talented skill-wise as the Penguins, it’s important they keep their heads in the game by playing smarter. In the first half of the season, the Baby Penguins showed flashes of brilliance, but could never quite get it together. By the end of 2009, the Pens won four games in a row and seemed convinced they were turning things around. Then January came. The Pens never won more than two games in a row for the whole month. February started and the Penguins defeated Adirondack in a shootout, and then dropped the next three games to Syracuse, Hershey, and Norfolk. The Hershey loss saw the Pens blow a 3-0 lead to lose 5-4. On February 10 after losing 3-2 to Norfolk, the Pens sat in sixth place. It appeared all hope was lost. Then on February 11, something happened. Nate Guenin was sent to St. Louis for Steve Wagner. The fans were eager to welcome a new player aboard but were doubtful. Was Wagner really what the team needed? So far, the answer is yes. 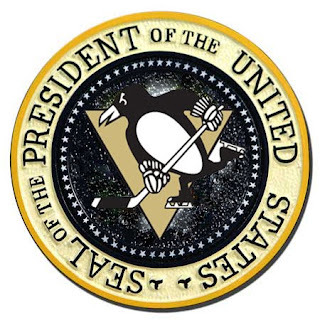 The Penguins are now on a six game winning streak; including a stunning 5-0 shutout victory over the Bears and a 9-2 thrashing of River Rats in which the team set two records. The Penguins are still five points away from a guaranteed playoff spot. For this moment, though, nothing is slowing them down. Hopefully, their struggles in January and February do not derail their playoff hopes and they can get into the postseason for the eighth straight year. As defending Stanley Cup Champions, the expectations for another title run are high, but the Penguins appear to be in good position to make another run to the finals and possibly be on their way to the “D” word all sports teams strive towards. They have a great mix of veterans and young talent and a good crop of minor leaguers just chomping at the bit to get their chance. And with Ray Shero at the helm, any trades or acquisitions will certainly lead to only better talent that fills any specific needs the Penguins need. The Pens have 20 games left in the season and are only one point out of first place in the division. It is unlikely anyone will be able to catch the Capitals for the top spot in the conference, so winning the division and trying to get to second becomes the battle for the rest of the season. If the Penguins can continue to play to their ability, another Stanley Cup is certainly in reach.